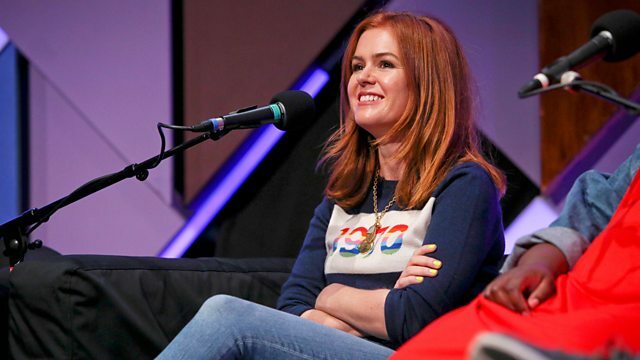 Clive Anderson and Tom Allen are joined by Isla Fisher, Selina Thompson, Dave Johns and Sage Francis and B. Dolan for an eclectic mix of conversation, music and comedy from the Edinburgh Festivals. With music from Dorec-a-belle and Sage Francis and B. Dolan. 'Marge and the Great Train Rescue' is published by Piccadilly Press and available now. 'salt.' is at Summerhall, Edinburgh until Saturday 26th August. 'Dave Johns: I, Fillum Star' is at Pleasance Dome, Edinburgh until Sunday 27th August. Sage Francis & B.Dolan’s 'TRICKNOLOGY' is at New Town Theatre, Edinburgh until Sunday 27th August. Sage Francis and B. Dolan are playing at Heaven, London on Friday 20th, LiVe, Preston on Saturday 21st and The Crescent, York on Sunday 22nd October. Dorec-a-belle's new album will be available in the Autumn.